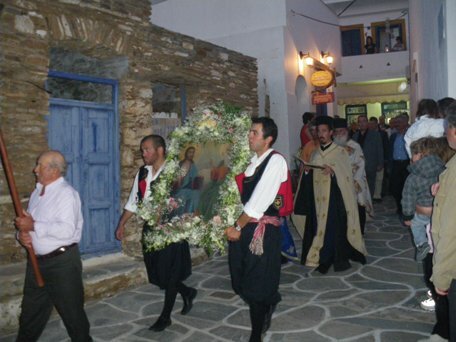 The wedding customs in Chora and Dryopida are of particular interest. Wedding is a joyful event for the villagers, relatives and strangers. Everybody helps with his preparations and rejoices, giving their wishes to the newlyweds. 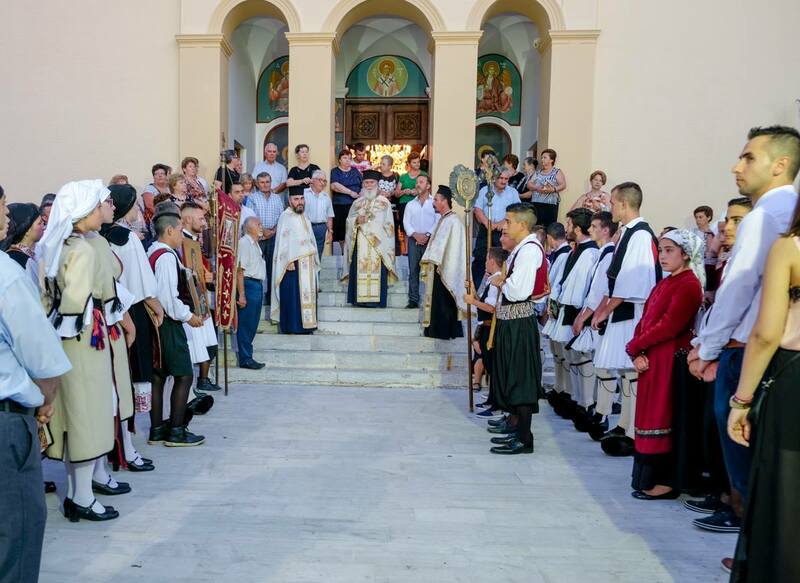 In a traditional wedding in Kythos the invitations are unnecessary as everyone is invited! 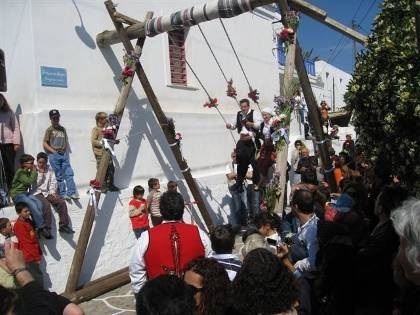 On Fat Thursday (Tsiknopempti), celebrations are held in Driopeda, with the youth of the village wearing traditional costumes and performing the Ballos dance in the alleys. 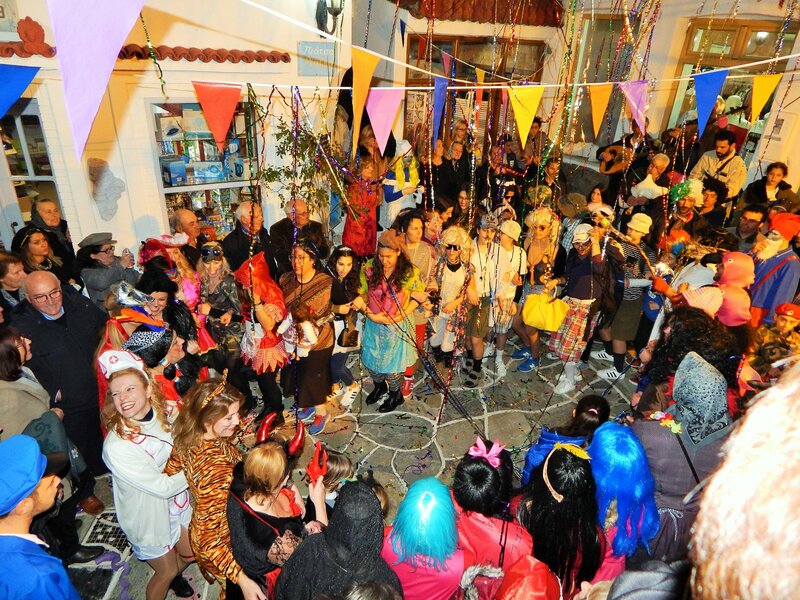 Events take place in Chora on the same day, with residents having to wear improvised carnival costumes. 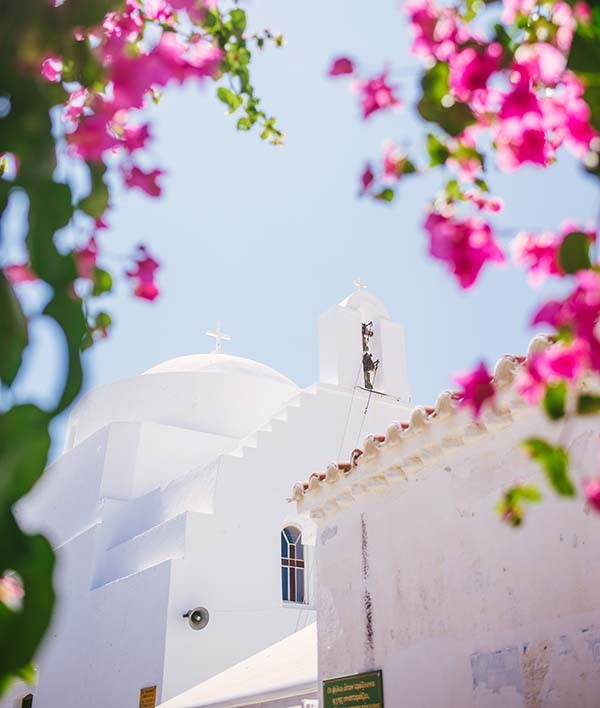 If you are on the island, it is worth attending these events to enjoy the barbecue smoke that has been set up in the squares and listen to the sounds of the tsabouna (bag pipe), the traditional wind instrument. 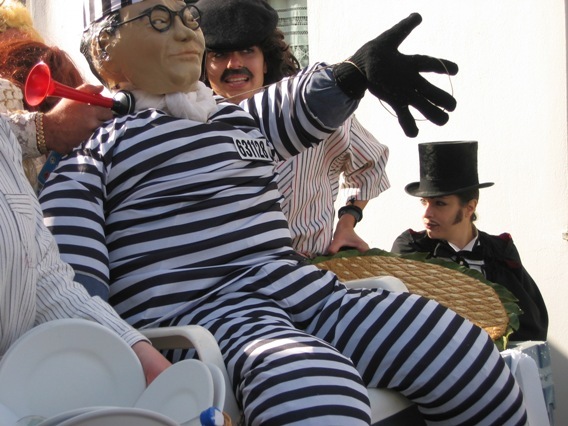 On the Carnival Sunday, the Chora of Kythnos welcomes the “Lazanis” – the King of the Carnival – while in Driopida the Carnival is celebrated with a glorious feast.. The Sunday of Orthodoxy is particularly honored in Dryopida. Following the church congregation, a procession of holly icons follows throughout the village. 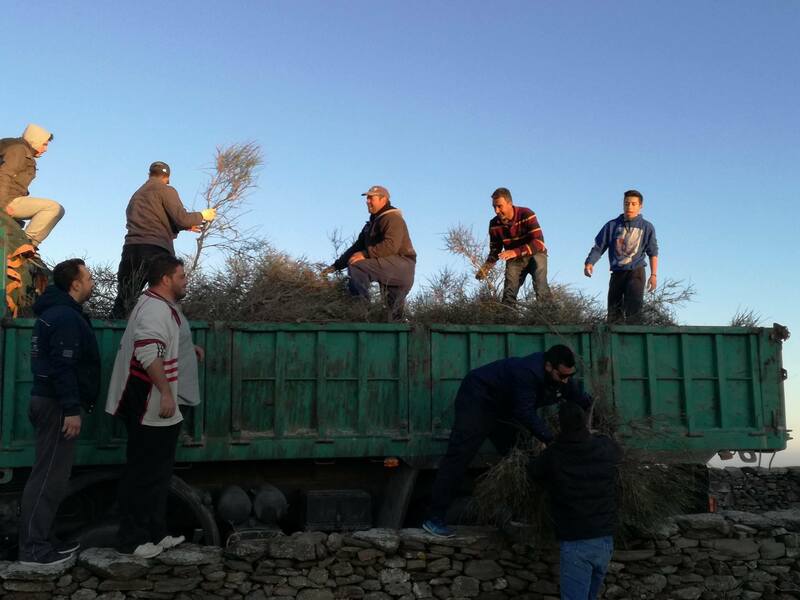 The young people, accompanied by the music of traditional instruments, collect eggs from homes and are treated by the hosts various delicacies and wine. Preparations for Easter begin on Holy Thursday with the dyeing of the eggs and the baking of the Eastern buns while all the alleys in the village are whitened. The Epitaph procession takes place on the Holly Friday and the pies made in the village of Thermia follow on Holly Saturday. On Easter Monday a representation of the «cradle» custom takes place. A big cradle is set up in a central square of Chora and young men and women take their place there wearing traditional costumes. Whichever couple ascends to the cradle is bound to God for marriage. There is a treat with delicacies and drinks as well as traditional dances. 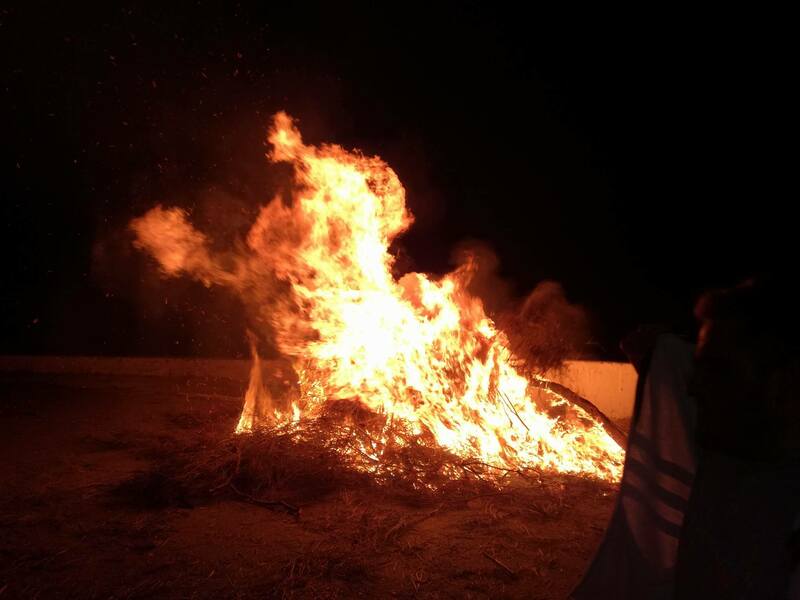 This is a quite interesting custom with young men and women starting a big fire and jumping over it believing that the fire will make them stronger and healthier.